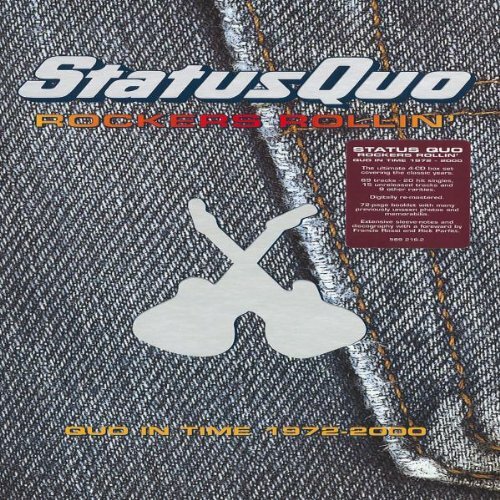 Download "Status Quo - Who Gets The Love" for FREE!!! (WilliamsGoodison) I've spent a lifetime running after you But listen woman, everything must change It's time you found yourself some other fool you can blame You had me figured as the spineless one Who'd be there waiting when you'd had your fun But now's the time I feel I should be cool What a shame, what a shame Who gets the love that we no longer share? Who gets to hold you close when I'm not there? Whose heart is filling up, I'm asking you Who gets the love? So many times you said I made you cry That's not the truth it's just an alibi And I'm not planning to be number two, won't play your game. I've often wondered after love has gone Where do we find the strength to carry on? And where's that someone that our love supplies And what's their name? What a shame. Who gets the love that we no longer share? Who gets to hold you close when I'm not there? Whose heart is filling up, I'm asking you Who gets the love? Before we give in are we really sure We're giving love that we don't need no more? There ain't a chance that we might get together again, oh no Who gets the love that we no longer share? Who gets to hold you close when I'm not there? Whose heart is filling up, I'm asking you Who gets the love? Who gets the love that we no longer share? Who gets to hold you close when I'm not there? Whose heart is filling up, I'm asking you Who gets the love?